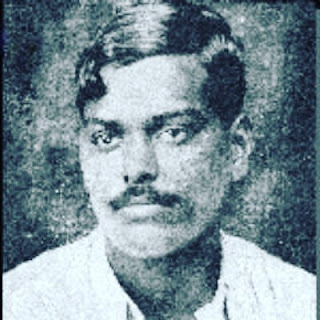 “I will face the bullets of the enemies, I have been free and I’ll forever be free” were the lines of Chandra Shekhar Azad, the master of disguise. Chandra Shekhar Tiwari, was born to Pandit Sita Ram Tiwari & Jagrani Devi on July 23, 1906 in Bhavra village in Jhabua district, Madhya Pradesh. He grew up learning wrestling, swimming, and archery. He practiced javelin throw and developed an enviable physique. He received his early schooling in Bhavra. For higher studies he went to a Sanskrit Pathashala in Varanasi where he met some nationalists. Chandra Shekhar Azad became a part of a group of young revolutionaries and dedicated his life to a single goal – securing freedom for his beloved motherland by driving the British away from India. 16-year-old Chandra Shekhar Azad was arrested in one of these demonstrations. When asked his name, his father replied to the authorities that his name was ‘Azad’. The announcement to suspend the non-cooperation movement came as a blow. Agitated Chandra Shekhar Azad met Ram Prasad Bismil, the founder of Hindustan Republican Association. Chandra Shekhar Azad joined the HRA and concentrated on collecting funds for the association. He planned attempts to rob government treasury to raise funds in order to carry out their revolutionary activities. Ram Prasad Bismil came up with an idea of looting a train running from Shahjahpur to Lucknow, in Kakori, carrying treasury money. You must've seen it in many bollywood films. 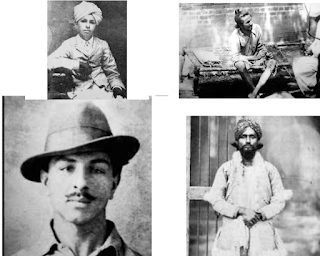 Azad reached Kanpur, the headquarters of HRA and met Bhagat Singh, Rajguru and Sukhdev. He reorganized the HRA and renamed it as Hindustan Socialist Republican Association (HSRA) with Bhagat Singh. On October 30, 1928 Lala Lajpat Rai got severly injured during his protest against the Simon Commission where Police Superintendent James Scott ordered lathi strike. Lalaji died on November 17, 1928 as a result of the wounds. Chandra Shekhar Azad held the police superintendent responsible for Lala’s death. Together with Bhagat Singh, Sukhdev Thapar and Shivaram Rajguru, he plotted the assassination of Scott but a case of mistaken identity led to the killing of John P. Saunders, an Assistant Superintendent of Police. As a result Bhagat Singh, Rajguru and Sukhdev were arrested Chandra Shekhar Azad was among the few who the British authorities were unable to capture. They even announced a reward of Rs. 30,000 on his head. The huge amount of money led to vital information on the whereabouts of Azad. On February 27, 1931 a pre-informed police surrounded the Alfred Park and asked Chandra Shekhar Azad to surrender. Chandra Shekhar Azad fought to allow his friends safe passage and killed three police officers. After nearly exhausting his ammunition and foreseeing no means of escape, he shot himself in the head with his last bullet. He upheld his vow never to be captured by the British. After independence, Alfred Park in Allahabad was renamed Chandra Shekhar Azad Park.